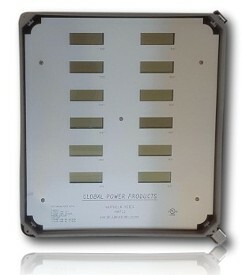 The New Era Meter is Global Power Products' newest utility submeter for multi-tenant facilities. The NE Meter utilizes some of the most advanced true RMS metering technology available in today's market. With Carbon Footprint Reporting, an auto-ranging power supply, and communication capabilities, the New Era Meter is ideally suited for any metering or submetering application. Connects to the internet through a router for reading and billing capabilities no matter your location. Perfect for meter applications up to 6 meters in one location. Plug and play device that connects directly into your computer or modem to give you instant reads anywhere as long as you have internet access. 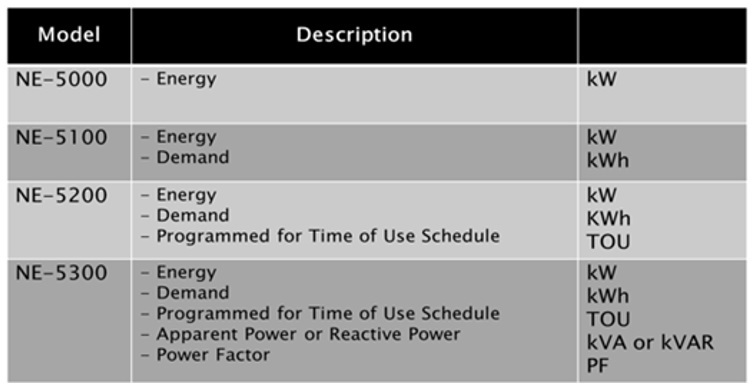 Network protocols for building automation. 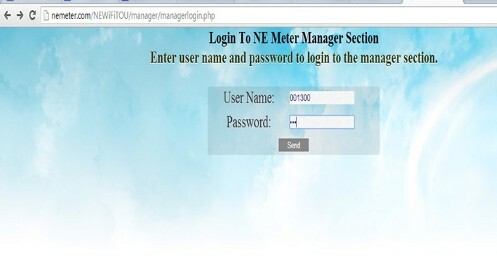 We utilize BACnet IP and Modbus RTU for the respective networks. Wirelessly interconnected meters with up to 26 mile line of sight capabilities. Over 300 meters can be on one gateway. Perfect for malls, dorms, high rises, or any application where multiple meters need to be read. Uses a SIM Card to communicate via cell phone towers, this option has additional minimal charges per read. This option is ideal for socket meters where internet access is limited or non-existant. A serial communication system that uses drivers and recievers to communicate between meters delivering your information in the most industrial environments. 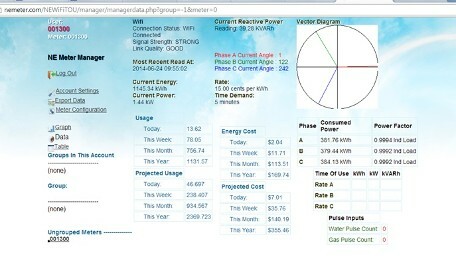 With the NE Meter communication options you also get the ability to read and bill your meters at no additional cost. This feature can be used on any desktop, laptop, cell phone, or tablet on the market today. Nema 4X enclosure, indoor or outdoor use, protects against windblown dust and rain, corrosion-resistant. Perfect for residential or commercial jobs. Dimensions: 8in. x 9.75in. x 3.3in. NEMA 4X enclosure, indoor or outdoor use, protects against windblown dust and rain, corrosion-resistant. Perfect for single phase applications where space is limited. Dimensions: 6.5in. x 5in. x 2in. NEMA 4X enclosure, indoor or outdoor use, protects against windblown dust and rain, corrosion-resistant. Perfect for renovations, apartments, or highrises where the meter base is already wired in. The MMP-6 is a NEMA 4X enclosure. For indoor or outdoor use, protects against windblown dust and rain, and is corrosion-resistant. Perfect for meter cabinets with limited space or where you can install multiple meters in one location. Dimensions: 13.45in. x 11.83in. x 6.31in. 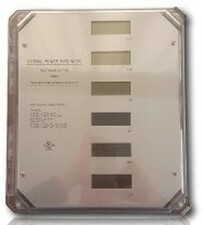 The MMP-12 is a NEMA 4X enclosure. For indoor or outdoor use, protects against windblown dust and rain, and is corrosion-resistant. Perfect for meter closets with limited space or where you can install multiple meters in one location. Dimensions: 17.58in. x 15.96in. x 8.34in.